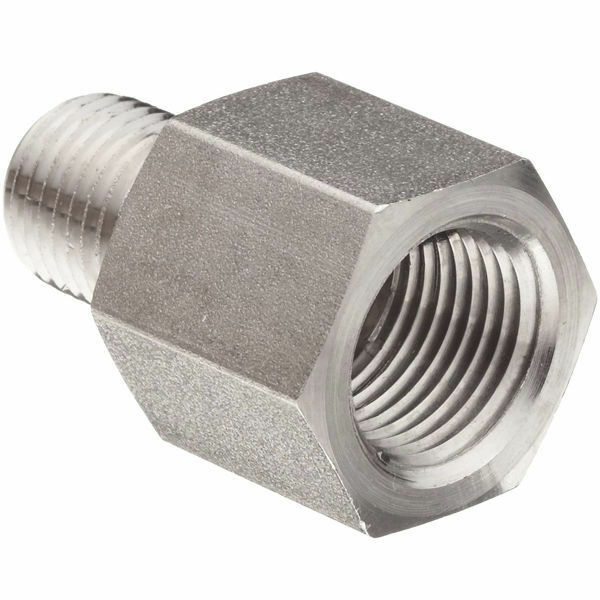 Male to female adapter stainless steel pipe fitting connects male thread on one end and female thread on the other for different types of pipes or fittings. Stainless steel pipe fitting is suitable for use in high-pressure and high-temperature applications. Thread sizes range is from R, PT, BSPT 1/8 to R, PT, BSPT 1/2, 10-32 UNF to 1/2 NPT, G, BSP, BSPP 1/8 to BSP, BSPP 1/2.